Redoptics had the most liked content! Play it while he is sleeping? Redoptics replied to puzzled's topic in WHAT'S HAPPENING? Ohh my, some of our elders have lost their way, Dasam Granth is amrit bani. Two of my friends can not grow a beard to save their lives, as you said for some people facial hair does not grow and they are in their late 30's early 40's. Is there any chance of yoy getting your brother to listen and read it? 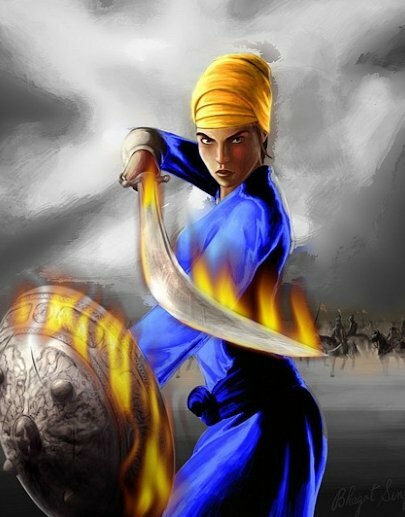 Sukhmani Sahib always helps me when I am down. This is what is usually missing :- Kripaa karee ham per jag mata. Granth karaa puran subh raataa. kilbikh sagal deh ko hartaa. Dustt dokhiyan ko chhai kartaa. (26) The Mother of the world has been kind towards me and I have completed the book this auspicious night; The Lord is the destroyer of all the sins of the body and all the malicious and wicked persons. (26) Siree asDhuj jab bhae dayiaalaa. Pooran karaa granth tatkaalaa. Man baa(n)chhat phal paavai soee. Dookh na tisai biaapat koee. (27) When Mahakal became kind, He immediately caused me to complete this book; He will obtain the fruit desired by the mind (who will read or listen to this book) and no suffering will occur to him. (27) ARRIL Sunai gung jo yaahe so rasnaa paavaee. Sunai moorr chit laaé chaturtaa aavaee. Dukh darad bhau nikatt naa tin nar ké rahai. Ho jo yaakee eik baar chaupe-ee ko kahé. (28) The dumb, who will listen to it, will be blessed with the tongue to speak; the fool, who will listen to it attentively, will get wisdom; The suffering, pain and fear of the person will depart who recite Chaupai even once. (28) CHAUPAI Sambat satrh sahis bheNije. ardh sahis phun teen kaheje. Bhadrrav sudee ashtmee ravivaraa. Teer sat-drav granth sudaahraa. (29) It was Bikrami Samvat 1753; This book was competed on the banks of Sutlej on Sunday, the eighth Sudi of the month of Bhaadro. SVAIYAA Paa(n)e gahe jab té tumré tab té ko’oo aa(n)kh taré nehee aanyo. Ram rahim Puran Quran anak kahai mat eek na maneyo. Simrat shaastr badh sabh bohu bhedh kahai ham eik na janyo. Siree asipaan kripaa tumree kar(i), mai na kahyo sabh tohé bakhaanyo. (30) O God ! Since I have held your feet, none other has entered my vision; Ram, Rahim, Puranas, Quran and many others recite, but I don't believe in even one. The Simritis, Shastras and Vedas describe many mysteries, but I don't recognise even one of them; O Sword-wielder God! All this I write, with your blessings, is not what I know but what you have shown me. (30) DOHRAA Sagal duaar kau chhaad kai, gahe’o tuhaaro duaar. Baa(n)he gahe kee laaj as Gobind daas tuhaar. (31) O Lord ! I have forsaken all other doors and chosen your door. O Govind, you have taken my arm; cared and protect your servant's honour. 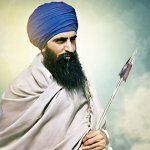 (31) Just think Sikhs should ne singing/reading the entire Benti Chaupai, especially when Guru Gobind Singh Ji says you read this once, and your pain, suffering and fear will depart. It also puts to bed Guru Gobind Singh Ji believed in hindu or any other deities. Noticed this alot when people are reciting Benti Chaupai, the last part of the pauri is usually missing and so is Ariil, Chaupai, Svaiyaa and Dhohraa. Just wondering what is the reason here ? If anyone knows. Can we not have a discussion without people saying stop making fun etc etc..